$10 Fleece Throws - Personalize For FREE! You are here: Home / Great Deals / Christmas Deals / $10 Fleece Throws – Personalize For FREE! $10 Fleece Throws – Personalize For FREE! Head over to DisneyStore.com to get a $10 Fleece Throw Personalized For FREE! Through 11/15, DisneyStore.com has the cute Fleece Throws for $10 (reg. $19.95). And you can get FREE Personalization when you use the code FREEPZ at checkout. Shipping starts at $4.95 for orders under $25. You can get FREE shipping on a $75 order with promo code SHIPMAGIC at checkout. Are you a Disney Store Cardholder? Score 10% off your order of $50 or more when you use promo code DRVCMEMBER at checkout! 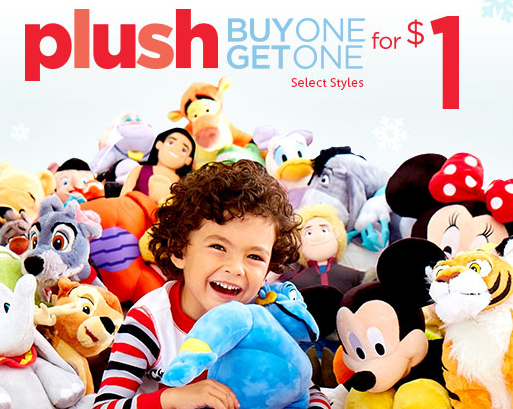 While you are at DisneyStore.com, checkout the – Buy One Plush Get One for $1! Today is the last day for the plush sale!